Every day at Restaurante Martin Berasategui is full of surprises and surprises come in many shapes and sizes. 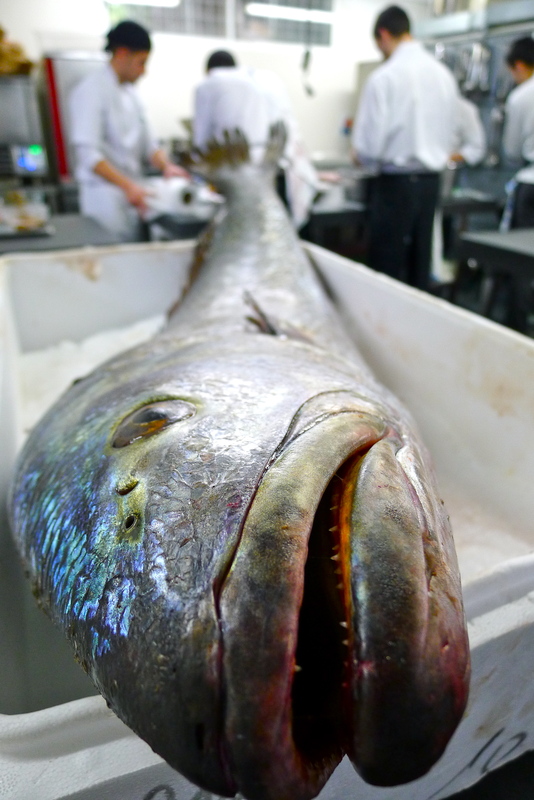 This sorpresa happened to be a gigantic, scaley surprise in the form of corvina. David de Jorge and his crew at Robin Food were cooking up corvina and happened to receive a huge, larger-than-life-sized corvina. They used a smaller one for the actual grabación (filming), but can you imagine this big guy as a prop in the background? Ay! 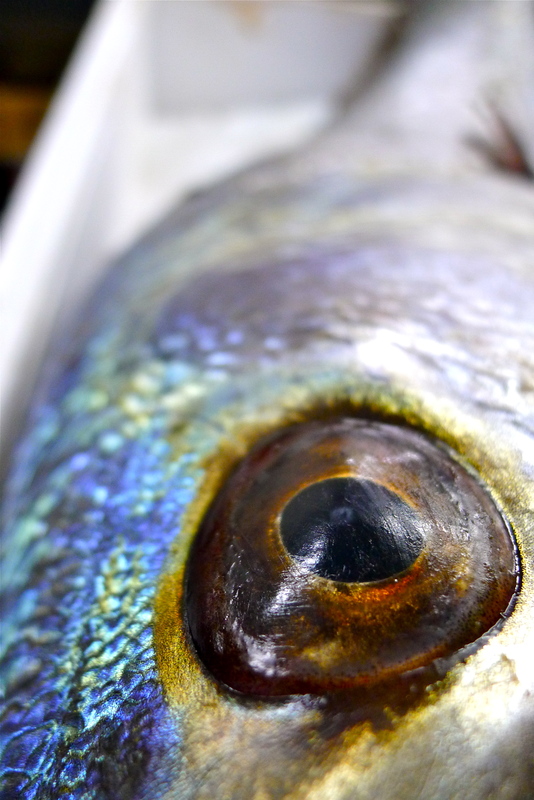 Nothing excites me more than a seafood delivery, especially when it brings anchoas (aka boquerones)! 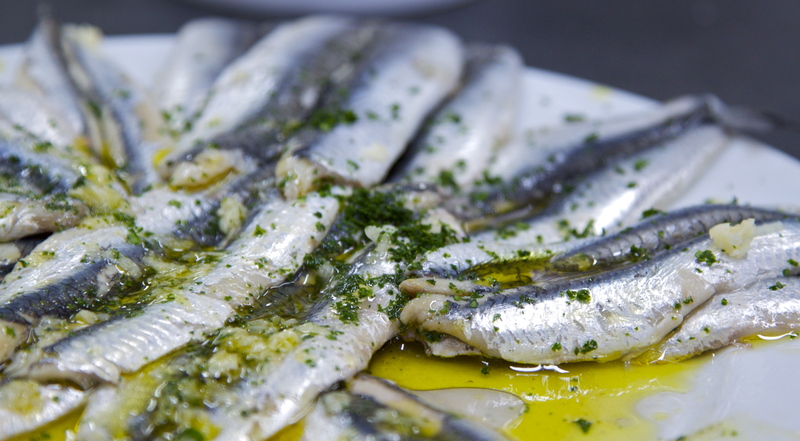 I have yet to find anything that begins to compare with the anchoas in País Vasco. I’m going to sound like a broken record sooner or later, but these are la hostia! This entry was tagged anchoas, boquerones, David de Jorge, Martín Berasategui, País Vasco, pescado, Robin Food. Bookmark the permalink. Hi Tracy. Finally I read all of your blog. so coooool. I like a lot. I also wanna start to write my blog to communicate with you. 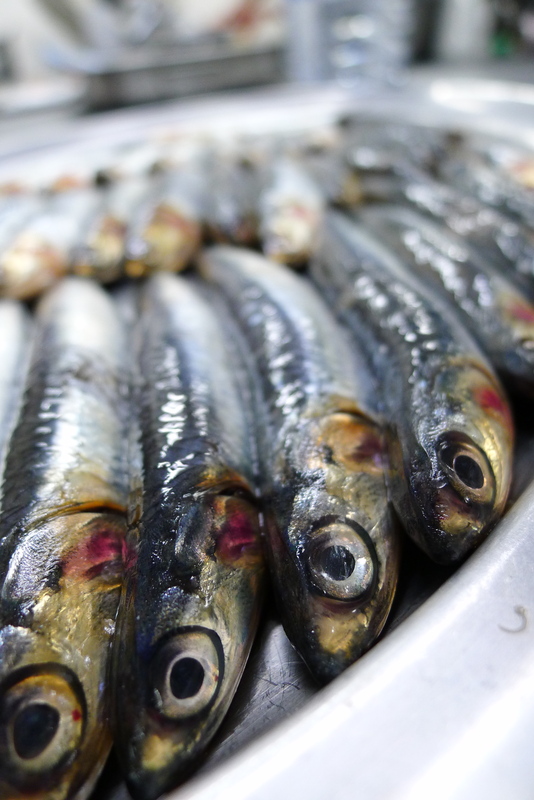 Do you remember that day Joseba and Pablo discussed about the name of Anchoa and Boqueron? They have a differnt way to call dipense it if fresh o cooked in their city, But they are same fish I think. Still I have don´t know how has the right idea. hahaha.